Looking for the perfect treat this Valentine's Day? You can't go wrong with Red Velvet and I have 12 amazing Red Velvet Recipes for you! Red velvet Oreo Truffle Chocolate Cake - Seriously an Oreo filling between two red velvet cakes, then chocolate and chocolate chips drizzled on it!!! Red Velvet Nutella Trifle-Red Velvet and Nutella....need I saw anything else? Red Velvet Biscotti- Perfect with a cup of coffee on Valentine's morning! Red Velvet Crumb Doughnuts- A fun treat for the kids on Valentine's morning! Red Velvet Blossoms - A fun twist on the classic peanut butter blossom cookie! 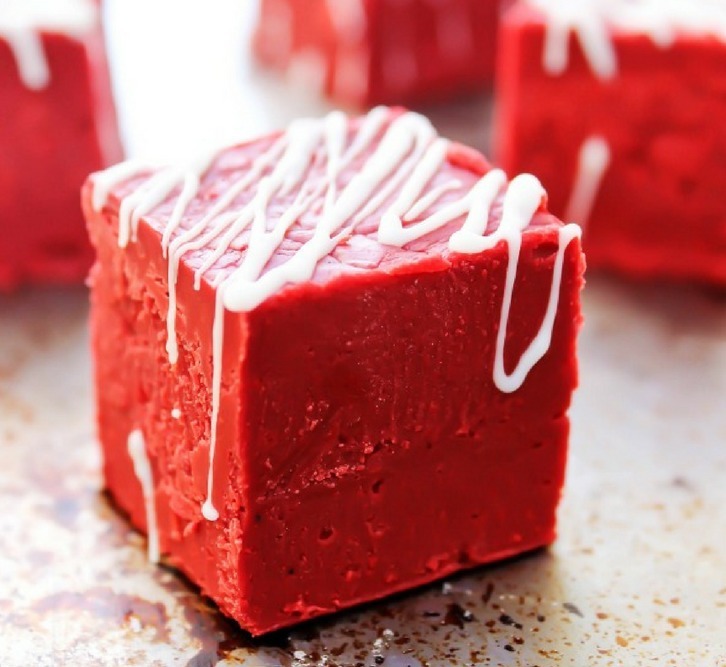 Red Velvet Rice Krispie Treats- Rice Krispie Treats are so easy and such a crowd pleaser! Red Velvet Muddy Buddies- Muddy buddies with a twist! Would make a fun treat for school parties! 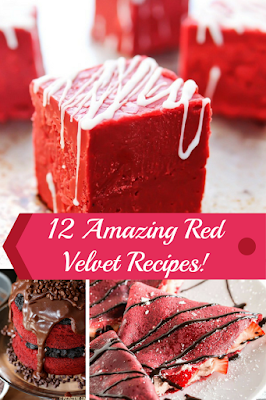 Red Velvet Crepes- I love crepes and this recipe sounds amazing! 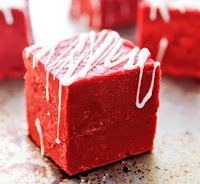 No Churn Red Velvet Ice Cream- This would be fun to make with your love or your little loves!